If you would like a high-resolution photographic image printed on a garment in a cost-effective way, Digital Transfer printing is often the answer. Using special printers, we print your image either supplied or designed by our in-house team, onto high-quality vinyl. After a period of drying and hardening to increase the artwork’s resistance to wear, it is taken to the heat press for transfer to the fabric. Using this method saves considerable machine set-up time and the cost of ink mixing, making it the perfect solution for family celebrations and small group commemorations. 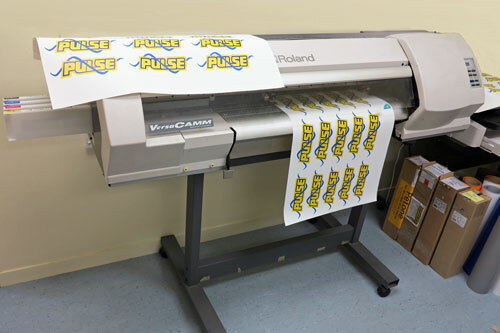 Digital transfer images are ideal for bags, caps, signs and other products that don’t need to be washed often.